Collaboration in research and educational activities with both local and international institutions is of high importance to the GSTM and contributes to the continuous improvement of the quality of our research and educational activities. The GSTM has a long standing collaboration with Tilburg University in The Netherlands with academics from both institutions being exchanged for research and teaching activities. . The GSTM also collaborate with Shandong University in China in the field of Project Management. We also have a formal collaboration with the University of Ravensburg - Weingarten in Germany. 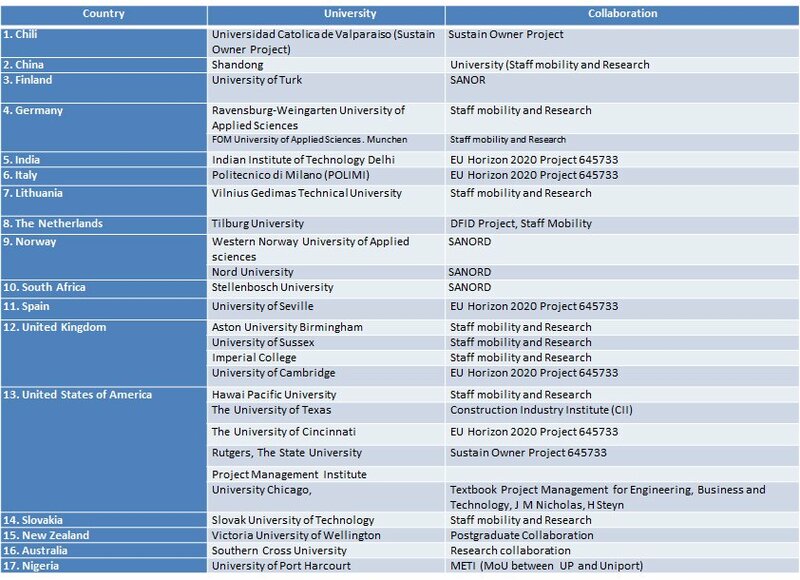 Individual academics from the GSTM have continuous collaboration activities with their counterparts at other local and international universities. The GSTM invites overseas academics on a regular basis to do guest lecturing on our programmes. 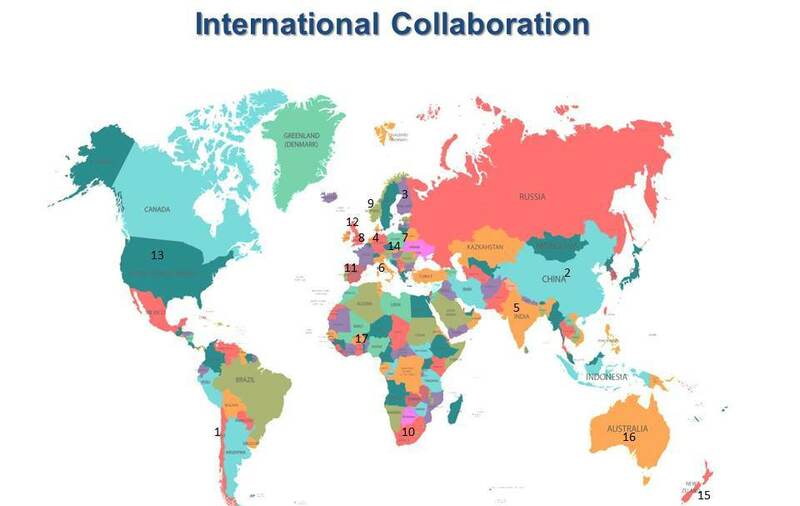 The specific Country, University as well as type of collaboration is indicated hereunder.